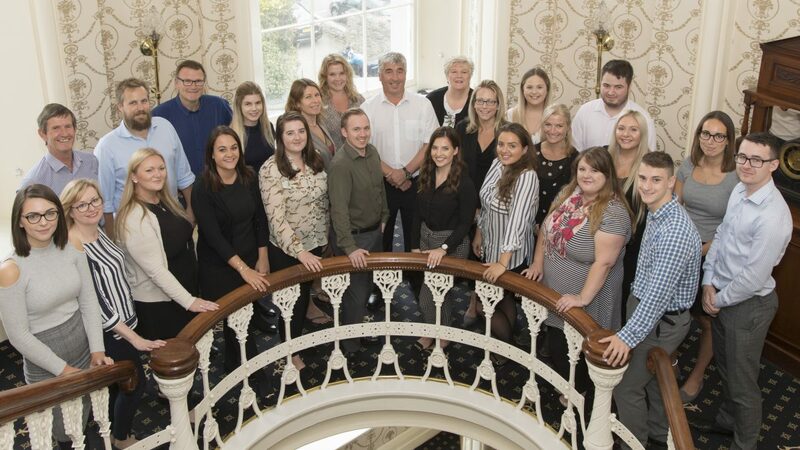 Bright Solicitors are an award-winning law firm in Plymouth and Ivybridge that strive to advise you on your business and personal legal issues. Regardless of whether you are a start-up or a small to medium sized company looking for help, or you are looking to secure your assets- Bright Solicitors are on hand to offer trusted, honest legal advice. Bright are delighted to introduce two newly qualified members to their Commercial and Commercial Property teams. Connie Moulding and Natalie Puckey are a reflection of Bright’s desire to recruit and retain high-calibre staff members, with a fresh and modern outlook. 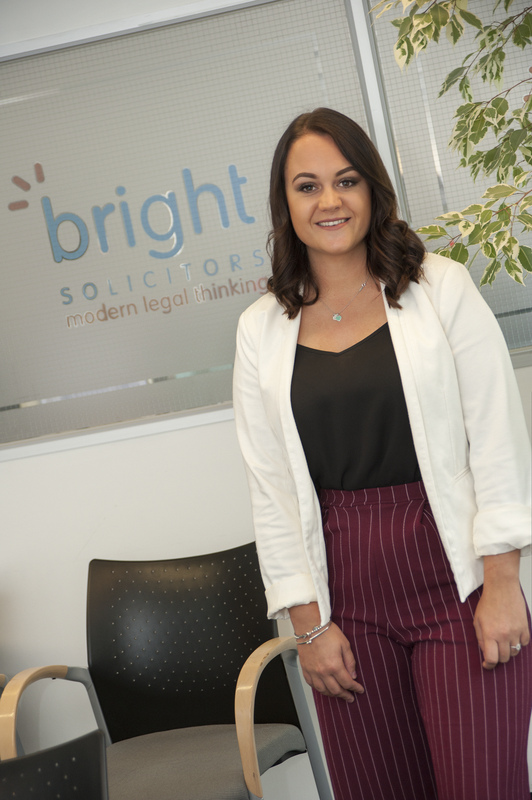 Being one of the youngest qualified solicitors in the city at the age of 24- Connie is now a staple part of the modern and innovative team at Bright Solicitors after 6 years of hard work. Having joined Matt Cook’s commercial team, Connie is keen to get to know all of Bright’s clients better. “Joining Matt’s team gives me the opportunity to build on my knowledge and experience of helping clients with issues that they face- whether that is growing and developing their business, or ensuring that their contract terms and conditions are relevant and enforceable”. Connie became inspired to pursue a career in law after taking part in a national competition- the Bar Mock Trails; an extracurricular activity in schools all over the UK that aims to give pupils insight into the legal system. Students act out criminal cases from the point of view of advocates, witnesses, the jury and defence- and compete against other schools in real courtrooms to work their way through to the national final. “I was always quite theatrical so I loved that we could dress up in the robes and the wig! We made it to the finals twice. This sparked my interest and I ultimately went on to complete a Law Degree at Cardiff University”. Connie completed a three year Undergraduate degree and then went onto study the postgraduate Legal Practice Course at Cardiff University, before returning to Plymouth and undertaking 2 years of training with Bright Solicitors. 6 years of education in total- Connie is now fully qualified at the age of 24 years old. “Everybody has an idea of what kind of place they would see themselves working in. 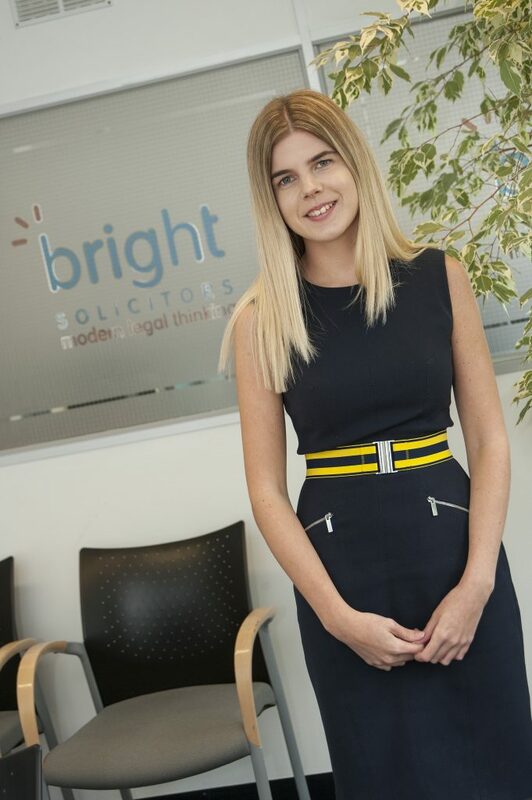 The environment here is just so different to your stereotypical traditional law firm- it’s not old fashioned, no men in pinstriped suits!” Connie explains that the team at Bright are young, fresh and innovative. “Our tagline says it all, modern legal thinking. I don’t think there are many law firms where you see the senior partner sitting with people who have recently joined the firm- and they are the one making cups of tea! We all work together, our office environment is very open and that’s what makes us unique”. Connie now works within Bright’s Commercial team, tailored for business services. Ranging from small to medium and some larger companies, Connie assists in dealing with legal aspects of company acquisitions, negotiating and drafting commercial supply agreements, shareholders agreements and advising on business protection to name a few. “We also have a litigation department so we can help with debt recovery and debt collection. Our team of 7 also works quite closely with the property team here at Bright, assisting with tenant disputes and boundary disputes for example”. “Bright Solicitors pride themselves on a personal approach to client care. One thing we all find extremely important is always being able to get hold of us when we’re needed. Reception will take any calls and if we’re busy or unavailable, there is always another member of the team to take the call and help you. Your phone call will always be answered”. Connie explains that on a personal level, she feels it is important to go back to basics within customer service. I always try to get my clients in for an initial meeting. You may never see them again but I think it’s so important to sit down, have a cup of tea and just put a face to a name! It makes it much more personal, People buy people. Connie has already achieved so much, but explains that she would like to eventually climb the ladder within the company. “I don’t want to run before I can walk, but I think the most important thing is for me to build my reputation”. “Being new, it can be an industry that is hard to break in to. I would love to get to the stage where I am known locally for giving the best service I can possibly give, and to be associated with the great law firm serving the people of Plymouth that is Bright Solicitors”. Natalie completed her eighteen month training period and became a fully qualified Solicitor in February. Working within the thriving Commercial Property department, Natalie explains she enjoys the friendly and open atmosphere at Bright Solicitors. Natalie Puckey joined Andrew Beddow’s Commercial Property team after working as a paralegal for two years, specialising in debt recovery and insolvency matters. Natalie now works on a portfolio of work for major property investors in and around Plymouth, with particular emphasis on acting for investors and occupiers in the office, industrial and retail markets. After graduating, Natalie built up her paralegal experience before coming to Bright to complete her eighteen month training period. Natalie explains that within this time, she was required to sit in each department within the company for 6 months, to help her decide where she would like to specialise. I had previous experience in litigation and debt recovery, but had never touched upon property until I came to Bright. It is a lot more varied and I like the challenges that come with working in this department. The Commercial Property team at Bright Solicitors offer advice to local and national businesses on all aspect of land and commercial property sales and purchases, which includes drafting and negotiating development agreements, option, pre-emption and overage agreements, refinancing and negotiating and drafting leases on both landlord and tenant matters. Natalie explains that a lot of her personal workload resolves around lease acquisitions for retail premises – clients wanting to purchase cafes, restaurants and other establishments. “I also negotiate and draft leases, agreement for leases, licenses and have acted on hotel purchases. Natalie joined Bright Solicitors after the company was recommended to her. “Bright is a great company. A lot of our work ethic revolves around customer care. We all work together as a tight knit team and we do a lot of social events outside of work. “These events are great to involve new members of the team. We keep our social media channels up to date with what we get up too outside of the office- I think that is really important as it makes us more relatable as individuals”. Natalie explains that after taking 10 years to qualify in a profession she feels passionate about, it is great to be involved with such a well established, local company such as Brights. “It feels amazing to finally be where I want to be. I am 28 years old, so my aspirations for the future would be to work my way up within the firm to possibly become a partner”.